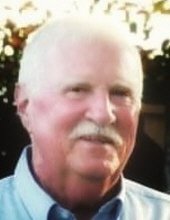 Charles William “Charlie” Parkinson, 78, of Dayton, passed away Saturday, January 19, 2019 at his home. He was born April 21, 1940 in Cedarhurst, New York to his late parents, Robert Parkinson and Mary Murphy Parkinson. Charlie was a Dayton resident for 15 years, had previously lived in Onalaska, was a retired fireman from the Port of Houston after many years of service, a member of the Firefighters Local and enjoyed woodworking and traveling in his RV. Survivors include his wife of 36 years, Thelma Parkinson; children, Christine Sanders and John Douzat and his wife Melissa; sister, Maureen Lopez and her husband Ray; 4 grandchildren, 4 great-grandchildren and numerous nieces, nephews, other family members and friends. In lieu of usual remembrances, donations may be made to the Dayton Volunteer Fire Department, 1001 Bill Moreau Dr. Dayton, TX 77535, (936) 258-5323. Arrangements are under the direction of Pace-Stancil Funeral Home, 1304 N. Cleveland, Dayton, Texas 77535, (936) 258-5300, www.pacestancil.com. To send flowers or a remembrance gift to the family of Charlie Parkinson, please visit our Tribute Store. "Email Address" would like to share the life celebration of Charlie Parkinson. Click on the "link" to go to share a favorite memory or leave a condolence message for the family.